Monday to Thursday: 8a.m. to 8p.m. Scott graduated from the University of Western Ontario with a bachelor of science in Physiotherapy. He received his Diploma of Manipulative Physiotherapy from the Canadian Physiotherapy Association, Orthopedic Division. 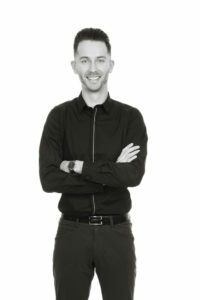 Scott started working in Toronto at the high profile sports clinic Physiotherapy on Bay. Aside from treating patients, and consulting on complicated orthopedic problems, he facilitates continuing education and mentorship for the staff at the clinic. He has a special interest in the treatment of orthopedic conditions of the spine, SI joint, hip and shoulder. The bulk of his treatment expertise lies in the use of manual therapy, which includes mobilization and manipulation of the muscles and joints of the body. An adjunct to his treatment includes active exercise programs, core stabilization and is certified in "Gunn" Intramuscular Stimulation (IMS) dry needling. Once a month he assists Dr. Gordon Ko in a specialized pain clinic (Markham, Ontario) providing Botox and prolotherapy injections to Chronic pain patients. 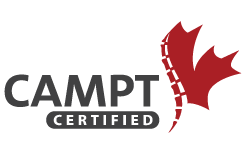 Scott is an instructor and chief examiner for the Orthopaedic Division of the Canadian Physiotherapy Association teaching the Diploma of Manipulative Therapy Curriculum of courses across Canada. He also has an academic appointment at the University of Western Ontario, teaching in the Clinical Masters of Manipulative Therapy program. Scott has co-published two extensive technique manuals for use in conjunction with the Manual Therapy education systems in Canada. He is currently completing his Masters of Manipulative Physiotherapy. Since completing his Masters in Physiotherapy from McMaster University, Stephen has focused his clinical work experience in orthopaedics and manual therapy. While attending McMaster University, Stephen worked as a team therapist for the varsity men’s basketball and football teams. In his final year, Stephen was also accepted for an international student placement, giving him the opportunity to work at an orthopaedic clinic in New Zealand. 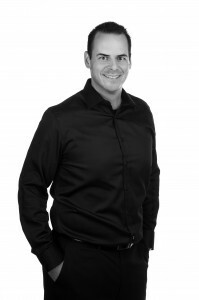 Prior to his physiotherapy studies, Stephen completed his Bachelor degree in Kinesiology at the University of Western Ontario, and has worked as a personal trainer. Over the years, Stephen has taken many continuing education courses, his advanced diploma in manual and manipulative therapy (FCAMT). Steve has been teaching post-graduate courses in Manual Therapy since 2010. He is also trained and certified in Gunn IMS dry needling. 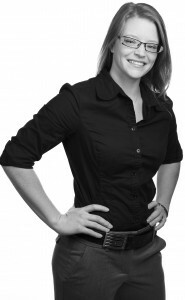 Stephanie graduated from the University of Waterloo with an Honours degree in Kinesiology. She then went on to McMaster University to obtain her Master’s of Science in Physiotherapy. She worked in Orangeville in a private orthopedic clinic for five years before returning to her hometown of Guelph and joining the Manual Concepts team. Since graduating Stephanie has completed courses in manual therapy, acupuncture, Mulligan mobilizations, and exercise prescription. She successfully obtained her CAFCI certification in acupuncture and her GUNN Intramuscular Stimulation certification (Gunn IMS). She has completed her Advanced Diploma of Manual and Manipulative Physiotherapy. Her clinic areas of interest include the shoulder and neck. Ben is a graduate of the Human Kinetics program at the University of Guelph, Ben went on to obtain a Master’s degree in Exercise Physiology. He completed his Master’s degree in Physiotherapy from McMaster University and has been working in and around Guelph since. Ben has completed his Advanced Diploma of Manual and Manipulative Physiotherapy. He is trained in Integrated Dry Needling (a certification course created by the staff at Manual Concepts similar to Gunn IMS). During his time at Guelph, Ben played four years of varsity football and was the team trainer for the varsity soccer team for a year. He has since taken up road cycling and has taken a course in bike fitting. He enjoys riding with the Speed River Cycling Club in the summer and playing hockey in the winter. 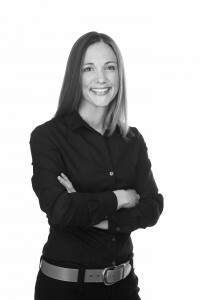 Anne earned her Bachelor of Science degree (Hons) in Kinesiology from Wilfrid Laurier University where she was also a member of the women’s varsity volleyball team. Anne went on to receive her Master’s in Physiotherapy from McMaster University. With a keen interest in orthopedics and manual therapy, Anne completed an Advanced Diploma in Manual and Manipulative Physiotherapy. In addition, Anne has received certification in Gunn Intramuscular Stimulation (IMS) and has completed courses in Mulligan mobilizations, acupuncture and therapeutic taping. Anne’s love for the sciences, healthcare, education and fitness is what led her to pursue a career in physiotherapy. Anne takes great pride in her personal health and fitness and loves nothing more than helping individuals achieve their functional and/or fitness goals. Erica graduated from the University of McMaster with both an Honours degree in Kinesiology and a Master’s of Science in Physiotherapy. While at McMaster University Erica was the Strength and Conditioning coach for the varsity wrestling team. 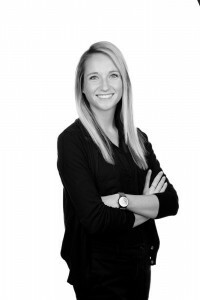 Prior to joining the Manual Concepts team Erica worked at an orthopaedic clinic in Burlington and assisted in the Clinical Skills and Problem Based Tutorial classes in the McMaster Physiotherapy program. Since graduating, Erica has completed her Advanced Diploma of Manual and Manipulative Physiotherapy (FCAMPT), her Integrated Dry Needling certification (CIDN), therapeutic taping and the AFCI acupuncture course. Erica was an elite gymnast while in school and now enjoys long distance running. Graham graduated from McMaster University where he completed both his Bachelors (Hons) of Kinesiology as well as his Masters in Physiotherapy. Since graduation, he has continued his education taking courses in manual therapy and has attained his Diploma of Advanced Manual and Manipulative Physiotherapy. 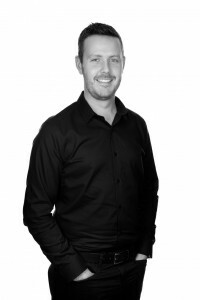 Graham has also completed courses in acupuncture and has completed the Integrated Dry Needling program. During his six years at McMaster, he was a member of the varsity badminton team as both a player and a coach. He continues to enjoy playing hockey in the winters and is an avid golfer in the summer. Jordan obtained his Master’s degree in Physiotherapy from McMaster University and has continued to enhance his clinical skillset by completing courses in orthopaedic manual therapy (mobilization and manipulation of muscles and joints), Integrated Dry Needling (IDN), soft tissue release, and concussion management. He will often draw from each of these areas, as well as specialized exercise, to establish effective multimodal treatment programs for his patients. Prior to his physiotherapy studies, Jordan graduated from Wilfrid Laurier University with an undergraduate degree in Kinesiology and Business Administration and also spent time working as a personal trainer. As a Guelphite and avid sports fan, Jordan grew up playing competitive hockey in Guelph and Fergus and continues to spend his time participating in a variety of sports, including hockey, golf, snowboarding, and tennis. 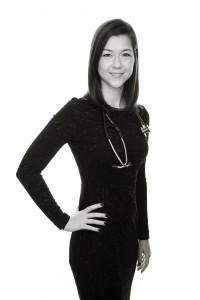 Amanda graduated from Sutherland-Chan School and Teaching Clinic, Toronto, in 2010. She integrates General Swedish Massage, with myofascial release, deep tissue, and trigger point therapy to help treat the root of the client's problem. Since becoming an RMT, Amanda has continued her education by expanding her treatment tools to include dynamic and positional release techniques, therapeutic taping, Fascial Restructuring Therapy, and massage for treating pelvic conditions in both men and women. These various techniques have lead to Amanda's unique approach to massage and ability to care for client's with difficult and chronic conditions. She also utilizes a thorough case history as well as postural and special tests to help direct the flow of treatment. With a background in Kinesiology; a bachelor degree from McMaster University, Amanda also believes highly in the importance of remedial exercise, self-care and education to enable clients to take control of their own health and well-being. Shannon Dragasevich is a Board Certified Naturopathic Doctor, and a member in good standing, of the College of Naturopaths of Ontario. She is a graduate of the Canadian College of Naturopathic Medicine where she completed her four year doctorate. Shannon completed her undergraduate studies at the University of Guelph. She holds a Bachelor of Science in Human Kinetics. 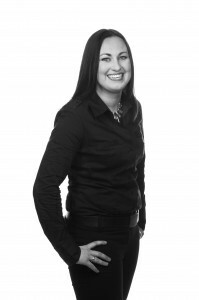 Shannon has developed a personal interest in treating chronic pain and musculoskeletal conditions. Growing up she struggled with chronic pain and knows first hand how debilitating it can be. Working with a multidisciplinary team at Manual Concepts allows for collaboration with physiotherapists and massage therapists, providing patients with the best opportunity to live pain free. Shannon also has an interest in the areas of immune dysfunction, digestive health, hormone balance, stress and insomnia. Unlike her Manual Concept colleagues Shelley comes from a background in commercial television production and advertising. She worked in commercial production for 10 years producing commercials for Canadian, American and European television. 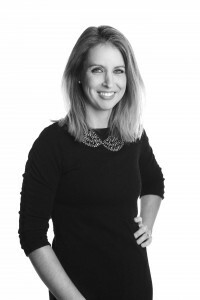 Shelley then went on to join a downtown Toronto Ad Agency where she worked for the next eight years developing National advertising campaigns for various large scale clients. After finally saying goodbye to the advertising world in 2010 Shelley joined the Manual Concept Physiotherapy team as Clinic Director in October of that year. She now enjoys all the challenges and changes that managing the clinic offers as well as her much shorter commute! Bre graduated from Fanshawe College, London, in 2010. She received her Ontario College Diploma in the Medical Office Administration program. She began her role at Manual Concepts Physiotherapy that year as part of a work placement, and it developed into a full time administration position. Having a strong interest in the body, fitness, and sports, this area of health care was a perfect fit. In 2012, Bre became the Clinic Manager, and she continues to be a committed member of the team. Website Designed and Developed by ProSoft Consulting Inc.